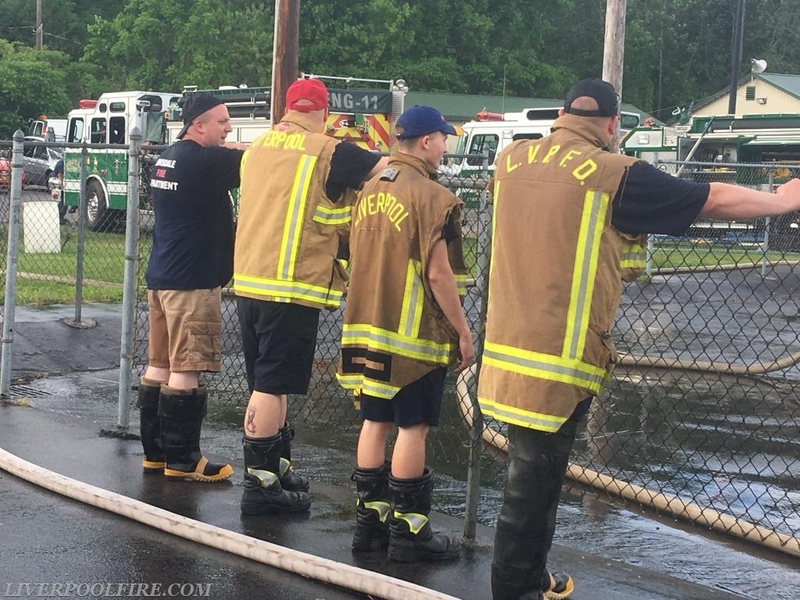 This Thursday, May 31st, kicked off the annual Minoa Fire Dept Field Days. Tonight Liverpool sent two teams of 4 to play “pushball.” Pushball is a game where two teams compete against each other with handlines and try to get a ball in webbing to the other teams side of the line. 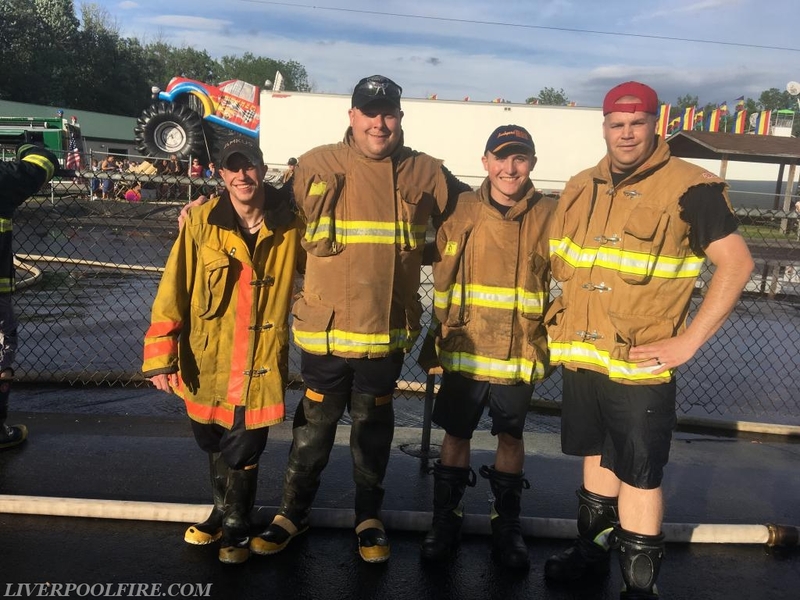 This evening Liverpool Team 2 (DC Manley, FF J. Santoro, LT Santocki, and FF Memory) placed 1st in 2.5inch pushball. Knocking off a very hard Pompey Team and East Syracuse team for the win!